Algeria. Arabic of the plain clothing. Home » Algeria. 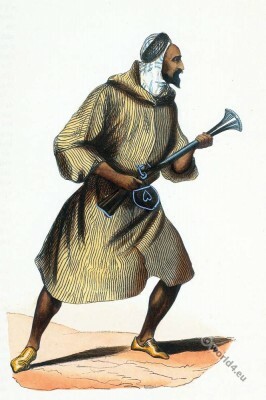 Arabic of the plain clothing. Arabic of the plain (Algeria). Arabe de la plaine (Algérie). Arab Algeria. Arabic of the plain. Historical clothing. This entry was posted in 19th Century, Algeria, Arabia, Middle East and tagged Auguste Wahlen, Traditional Algeria costumes, Traditional Arabian costumes on 6/8/15 by world4.